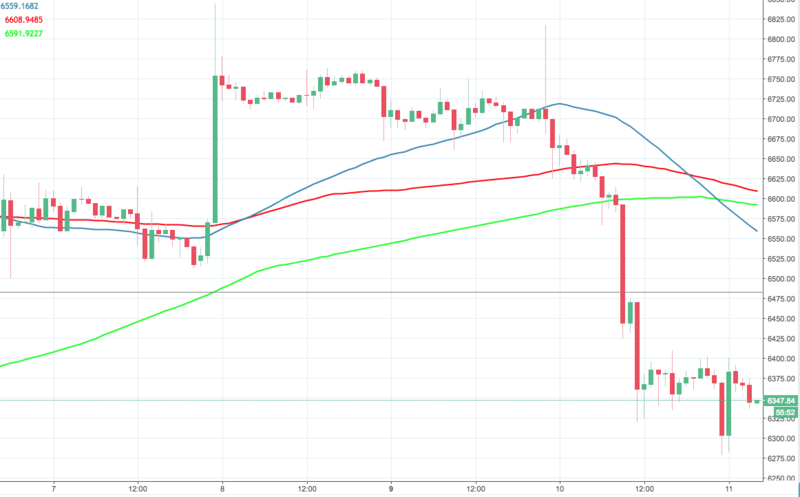 BTC/USD is rangebound after Tuesday sell-off. The head of Fundstrat Global Advisors sticks to his forecasts. Bitcoin is changing hands at $6,359, off the recent low reached at $6,279. The coin is down 5% on daily basis with the market value reduced from $115.5B on Tuesday to $109.6B on Wednesday amid global sell-off of digital assets. Meanwhile, Tomas Lee, the head of research in Fundstrat Global Advisors, sticks to the optimistic forecasts that have earned him a reputation of one of the most outspoken bulls on Wall Street. He believes that Bitcoin will reach $25,000 by the end of the year, which is more than 270% above current levels. He bases his outlook on the fact that Bitcoin usually trades at 2.5 time its mining costs, which will reach $9,000 by year-end.